Let her Hop her way into Easter! 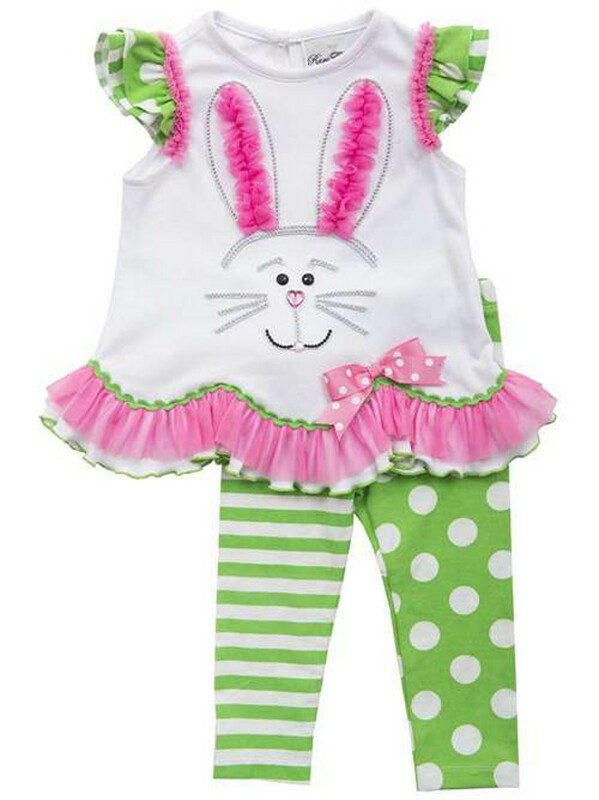 This adorable Easter Outfit features a bunny applique created with rhinestones! Cute! Capped ruffle dot sleeves and a fuchsia tutu makes this Easter Outfit more adorable. Matching stripe and dot leggings complete this look!